CITES Appendix I. Several populations occur within protected areas, the most important being the Bengal Florican Conservation Area (BFCA) network in Cambodia (see Mahood et al. 2012), Chitwan National Park, Royal Bardia National Park and Sukla Phanta Wildlife Reserve, Nepal, Kaziranga, D'Ering, Dibru-Saikhowa and Dudwa National Parks, India. Tiny, perhaps unsustainable populations may still remain at Ang Trapeang Thmor Sarus Crane Reserve, Cambodia, and within the Mekong Delta at Boeung Prek Lapouv Sarus Crane Reserve, Cambodia, and Tram Chim National Park, Vietnam. A research project investigating movements and habitat requirements in the non-breeding season began in 2007, where individuals were fitted with satellite or radio transmitters; the data from which have revealed previously unknown non-breeding sites (see Packman 2009). The Wildlife Conservation Society, BirdLife International and their government partners are engaged in a programme of conservation activities in the Tonle Sap floodplain of Cambodia, aimed at reducing habitat loss and hunting pressure on the species (A. W. Tordoff in litt. 2007). Achievements so far include the designation of 173 km2 of breeding and 138 km2 of non-breeding habitat as Bengal Florican Conservation Areas (BFCAs). Populations in the BFCAs and in adjacent areas have been monitored annually since 2008 using a survey which employs a randomised sampling design to measure occupancy of 1 km2 squares by displaying males, which allows results to be extrapolated within and across sites to obtain accurate population and trend data. These data indicate that the population is probably stable at some BFCAs and possibly declining in others and in adjacent areas (van Zalinge et al. 2009, 2010, Mahood et al. 2012). Suitable habitat in BFCAs continues to be lost to various threats, including the expansion of dry season rice cultivation and dam construction (van Zalinge et al. 2010), although overall habitat loss outside BFCAs has been much greater. Work is on-going to maintain effective management structures for these areas and build constituencies of support for their conservation among local stakeholders. Official patrol teams are now operating in Kampong Thom and Siem Reap, and in both provinces the Forestry Administration, working through provincial commissions, has already halted several proposed developments which would otherwise have destroyed vital breeding habitat (Eames 2007, van Zalinge et al. 2009, 2010, Mahood et al. 2012). Changes in land use in the Tonle Sap floodplain and in the BFCAs in particular are also monitored with the aid of aerial and/or satellite images (Gray et al. 2009a, van Zalinge et al. 2009). When land encroachment in the BFCAs is detected through patrols or satellite-monitoring, WCS facilitates meetings between the parties concerned to resolve disputes and reverse encroachment. An in-depth socio-economic study has been conducted by the Centre d'Etude et de Développement Agricole Cambodgien. The report highlights the economic benefits local communities derive through the traditional use of grasslands and is used to build support among key decision makers and local communities. An awareness programme covering 71 villages and over 3,200 people was conducted in 2008/2009, and outreach activities in schools and villages are ongoing. Training in selected villages was conducted to improve agricultural systems and reduce the immediate pressure on grasslands from people wanting to convert grasslands into agriculture (BirdLife International 2009). 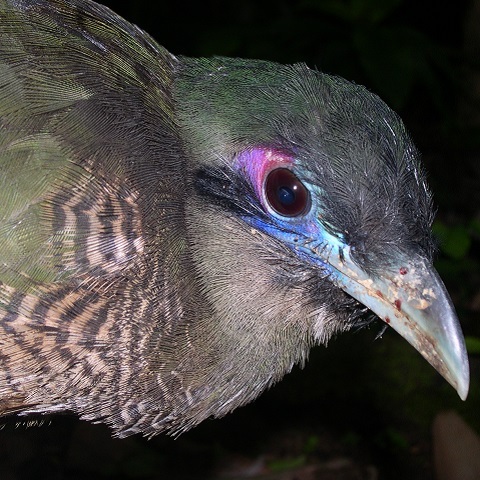 Villagers receive financial rewards for reporting nests which they incidentally find as a deterrent against collecting and eating the eggs; finders receive an additional financial reward if the nest fledges successfully, although nest-finders are discouraged from protecting the nests directly to reduce accidental disturbance to birds (van Zalinge et al. 2009, 2010, Mahood et al. 2012). At the four breeding season BFCAs, community management committees have been established to act as intermediaries between WCS, government partners and the communities, they assist in awareness raising, patrolling and reporting illegal activities in the BFCAs. At one of the BFCAs rice is purchased at a premium from local farmers abiding by conservation agreements under a wildlife-friendly rice initiative and community members gain an additional income from acting as guides to birdwatchers visiting the site through the Sam Veasna Centre. These activities appear to be having some early success in arresting the rapid decline of the species in Cambodia, but their long-term outcome remains to be seen. In 2012, a Darwin Initiative project was initiated to look at the species's distribution and habitat requirements in India and Nepal (Barber 2013). 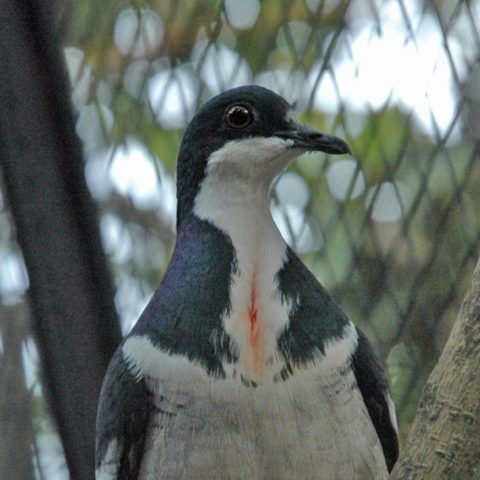 In Nepal, two male birds were satellite-tagged in April 2013 (Barber 2013), followed by two females and a male in 2014 and three males in India in 2014 (Barber 2014), and a further two males have been tagged in Nepal and one male in India (R. Jha in litt. 2016, Jha et al. 2018). As a result of the tagging work, conservationists will be able to identify important areas for the species and propose suitable management regimes. Trial habitat plots have also been established to understand habitat preferences. Continue annual monitoring of the population in the BFCAs, Cambodia, and replicate the monitoring protocol in key sites in India and Nepal. Conduct research on breeding productivity and habitat utilisation in breeding and non-breeding BFCAs. Introduce a protected area management regime, including appropriate rotational burning, grazing and cutting based on research findings; and promote appropriate land-management actions in non-protected areas, e.g. low intensity agricultural areas that are used in the non-breeding season (see Jha et al. 2018). Promote grassland conservation awareness initiatives in all range countries. Strengthen the legal protection for existing BFCAs and expand the network (van Zalinge et al. 2009, 2010, Packman et al. 2014). Continue surveys for populations, particularly in Koshi Tappu Wildlife Reserve and Koshi Barrage, Nepal (Poudyal 2007). Identify additional important sites for birds in the non-breeding season in Cambodia. Land acquisition outside the BFCA network and/or conservation concessions may be required to protect important areas for the species (Handschuh 2013, Packman et al. 2014). Extend, upgrade, link and improve enforcement in protected areas in India and Nepal, and establish new ones. Devise and promote a conservation strategy for all Asian bustards. Share best practice guidelines for management of small bustards in grassland habitats across Europe and Asia. Encourage community engagement to try to improve the level of protection within protected areas, and investigate potential initiatives to promote conservation-friendly development, such as the Sustainable Rice Platform (Ibbett et al. 2017). The species has two disjunct populations, one in the Indian Subcontinent, the other in South-East Asia (BirdLife International 2001). The former occurs from Uttar Pradesh, India, through the terai of Nepal, to Assam and Arunachal Pradesh, India, and historically to Bangladesh. It has declined dramatically and only survives in small, highly fragmented populations; although modelling work suggests that there are large areas of suitable habitat that could contain larger populations, especially in areas around the Brahmaputra River (Jha et al. 2018). Declines have apparently continued even inside protected areas e.g. Royal Chitwan National Park, Nepal, Dudhwa and Pilibhit parks, India (Baral et al. 2003, R. Jha in litt. 2016). 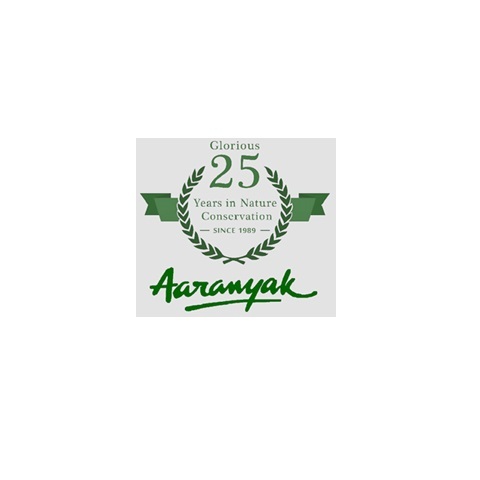 Surveys and interviews with staff at four protected areas in the North Bank area of Assam suggest that the species has been largely absent from three of them since 2000 (Brahma and Lahkar 2009). Recent surveys in Assam, India (2014-2016), found 33 adult territorial males in Manas Tiger Reserve, 32 adult males in Kaziranga National Park, 10 territorial males in Orang National Park, and 4-6 birds in Laokhawa-Burachapori Wildlife Sanctuary (A. Rahmani in litt. 2016). Additionally, island surveys of the Brahmaputra River in 2015 revealed the presense of 5-6 birds in as many river islands, while 12-15 adult male birds were found on the Sadia plains and river islands (A. Rahmani in litt. 2016). In Arunachal Pradesh, 5-7 male floricans were seen in a private grassland in Nizambhat, and a new population with up to 29 territorial males was found in April-June survey in 2016 in D’Ering Wildlife Sanctuary in East Siang District (Rahmani 2016). It is estimated that 60-70 territorial males could be present in D’Ering Wildlife Sanctuary, making it one of the most important areas for floricans in India (A. Rahmani in litt. 2016). In Uttar Pradesh, India, the numbers appears to have declined, as only 8 territorial males were seen in Dudhwa Tiger Reserve, down from 24 seen in 2001, while a small population of 5-6 males was found in Pilibhet Tiger Reserve. As females are extremely difficult to see, their number was not recorded as part of these surveys. An estimate from 2007 put the Nepalese population at just 28-36 mature individuals (restricted to a few widespread sites) (Poudyal 2007), down from 32-60 individuals in 2001. 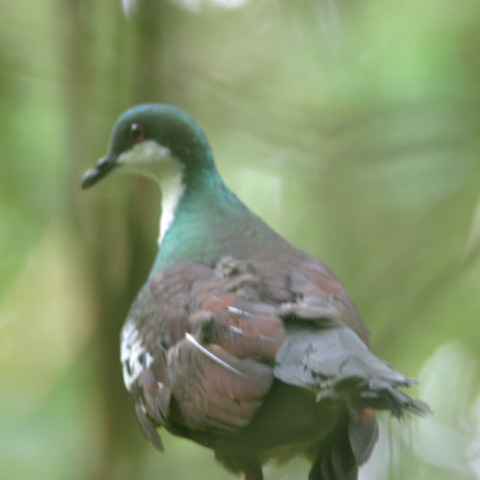 Recent intensive survey effort in Nepal has recorded 47 individuals in and around Koshi Tappu Wildlife Reserve, including 14 birds outside any protected area and an estimate of 60 individuals in total (Baral et al. 2013). This is almost double the numbers from a survey of the area in 2012 when around 12 pairs were estimated (Baral et al. 2012), but this is due to a more rigorous survey methodology (Baral et al. 2013). This is the largest population in Nepal (Baral et al. 2013) and, if numbers from the 2007 survey are still accurate, this would put the total number of mature individuals in Nepal at 75-96. The South-East Asian population occurs in Cambodia and may be extant in southern Vietnam. The population in the Tonle Sap region, which supports the vast majority of the population of Cambodia, was estimated at between 312 and 550 based on surveys in 2012, with only 216 displaying males recorded (C. Packman in litt. 2013, Packman et al. 2014). This represents a 44% decrease from the previous survey in 2005, and a minimum of 294 displaying males had been recorded in 2007 (Gray et al. 2009a). If the population continues to decline at the current rate, it may become extinct in Cambodia within 10 years (Packman et al. 2014). More than 80% of the Cambodian population occurs on seasonally inundated grasslands within Kompong Thom province (S. Mahood in litt. 2016). This estimate, based on the extent of available habitat in 2005 and known habitat loss between 2005 and 2007, represents a rapid decline owing to habitat loss, from a projected 3,000 individuals in 1997 (T. Gray, T. Evans and H. Chamnan in litt. 2006). Given accelerating post-2005 grassland loss of 28% within 10 grassland blocks holding 75% of the estimated population (Gray et al. 2009a), and a further 11% of habitat lost in four protected areas in 2008 (Evans et al. 2009), projected rates of decline will equate to over 80% during a three generation period (T. Gray, T. Evans and H. Chamnan in litt. 2006). Recent assessment of habitat loss indicates that it has indeed been widespread and extensive between 2005 and 2012, and a number of sites identified as having blocks of grassland in excess of 10 square kilometers now contain little or no grassland (C. Packman in litt. 2013). Stoung-Chikreang BFCA and unprotected grasslands at Sankor support the highest populations (45 and 69 displaying males respectively in 2014), but estimates vary from year to year and population of the two sites is probably 100-150 displaying males (S. Mahood in litt. 2016). Annual monitoring of Bengal Florican populations in Bengal Florican Conservation Areas (BFCAs) and adjacent areas in Cambodia during March-April 2008-2016 indicates that whilst populations in some protected areas are stable, in other locations population declines are ongoing. Outside of protected areas there is very little suitable grassland habitat remaining (Mahood et al. 2012). The population in Cambodia was estimated at 294 displaying males or c. 600 individuals in 2009 (Gray et al. 2009a), but recently an extensive survey has reported a total of only 432 individuals (95% CI 312-550) (C. Packman in litt. 2013, Packman et al. 2014). 75-96 individuals remain in Nepal (Baral et al. 2013). No recent total population estimates are known from India, but >100 males were recorded in the country in recent surveys, with the population in D'Ering Wildlife Sanctuary potentially holding 50-60 territorial males (A. Rahmani in litt. 2016). Given these estimates, the total global population for this species is tentatively placed in the range 250-999 mature individuals. This equates to 375-1,499 individuals in total, rounded here to 350-1,500 individuals. In South Asia, most populations are small, isolated and vulnerable to local extirpation. The key threats are the extensive loss and modification of grasslands through drainage, conversion to agriculture and plantations, overgrazing, inappropriate cutting, burning and ploughing regimes, heavy flooding, invasion of alien species, scrub expansion, dam construction and inappropriate and illegal development (Brahma and Lahkar 2009, Evans et al. 2009, van Zalinge et al. 2009, Ibbett et al. 2017). In particular, the spread of dry season rice cultivation in Cambodia is rapidly converting existing grassland habitat (Packman et al. 2014). An increase in the area of scrub vegetation between 1995/1996 and 2005 was responsible for 65% of grassland loss in Cambodia (Packman et al. 2013). Land sales and concessions are often pushed through despite resistance from local villagers (Evans et al. 2009). Excessive hunting for sport and food may have triggered the species's decline, but owing to advocacy and law enforcement this is no longer a serious threat, at least in Cambodia. Other threats may include human disturbance and trampling of nests by livestock. Detailed research into the species's ecology in Cambodia demonstrated that the effects of human disturbance are weak and annual burning is important for maintaining suitable habitat, supporting the idea that community-based grassland management that maintains traditional agricultural practices will benefit the species. This has implications for management in South Asia, where remaining (and declining) populations are largely confined to strictly protected areas in which such practices may not be occurring (Gray et al. 2007). Further study has revealed that, whilst burned grassland is selected by males during the breeding season, unburned grassland and other habitats providing cover are selected by females, demonstrating the need for management that provides a variety of habitats (Gray et al. 2009b). Proposed development of powerlines in Cambodia could prove to be a significant emerging threat to the species there (Mahood et al. 2018).